Magical New Moments Now Happening! 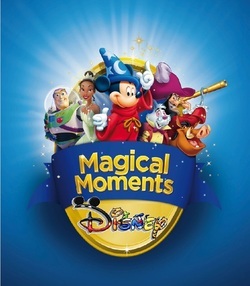 This year, Disney World is celebrating Disney Magical Moments where Disney moments are going to come looking for you! How cool is that? A mad-cap-moment with Alice and the Mad Hatter, where you drink in the madness, get to be really silly together and really let your imaginations go wild. Then, you could find yourself playing Following the leader with Peter Pan – a Disney Magical Moment all pirates like to treasure! A more refined moment may find its way to one's self next. Prepare for the most royal of Royal Invitations... to become a fairytale Princess and spend a magical moment with a Disney Princess. It's a dream-come-true-moment to cherish for a happily-ever-after. Moments change but the feeling you get from them remains the same. A sense of excitement! At theAdventureland rhythms of the jungle you get a sense of rhythm too! Tune up the tam-tams and you could get down and get jumpin' with one of the gang if you're lucky! – Baloo, King Louie, Timon or wise old Rafiki! After all the fun you'll want to sit down… not for long! Disney Magical Moments never screech to halt because Mickey and his friends have arranged loads of other big surprises for you! You'll be spellbound from the moment Mickey rubs the Genie's lamp to when he becomes a Master Magician; Conjuring Disney fairies, magicians and Magical Moments out of thin air. What will your favourite moment be? Join in the celebration and find out!! "Magic begins the moment you tell them..."